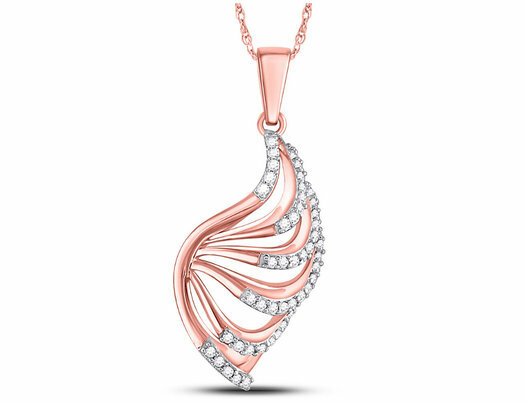 A truly unique design is elevated with polished beautiful 10 karat rose pink gold while 48 sparkling white diamonds (1/6 carat ctw I2-I3) complete the look. This special stylish motif is crafted with elegance and style in mind. A 10 karat rose pink 18 inch gold chain is included. This item is 1 inch in length and 2/5 inch in width.